A few years ago, an acquaintance on Facebook posted some really beautiful landscape photos from his trip to Iceland and I was like, wow, let’s go there! Probably this has happened to you, too. Maybe not about Iceland, but about some other place: the power of our social networks when it comes to travel is very strong. Photos of amazing waterfalls like this one that I took at Urridafoss attracted me to Iceland. Iceland wasn’t on my bucket list before this; actually, I’d never really thought about it. I love taking pictures of vast landscapes, I love hiking and fresh air, but for years I’ve tended towards art cities for my vacations. Recently, however, as I get further from my art history studies and lazier about learning, I’ve taken more landscape- and sports-oriented holidays, like Hawaii, tennis in Austria, or hiking in the Alto Adige. 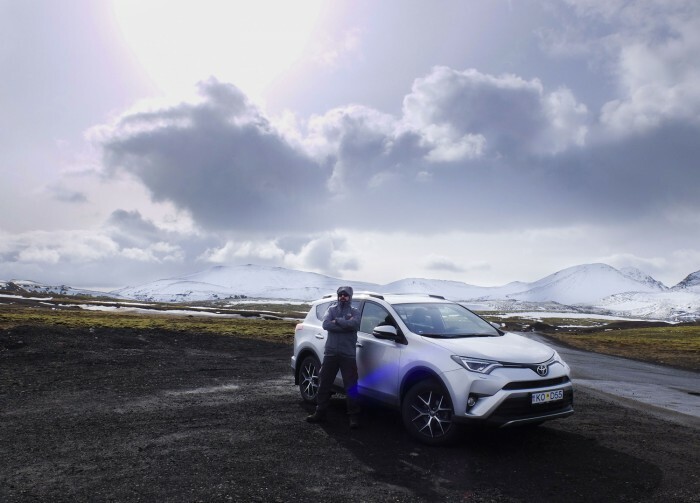 Iceland remained an image in the back of my mind, but when Tommaso and I asked people who had been, we heard that the accommodations were really basic. 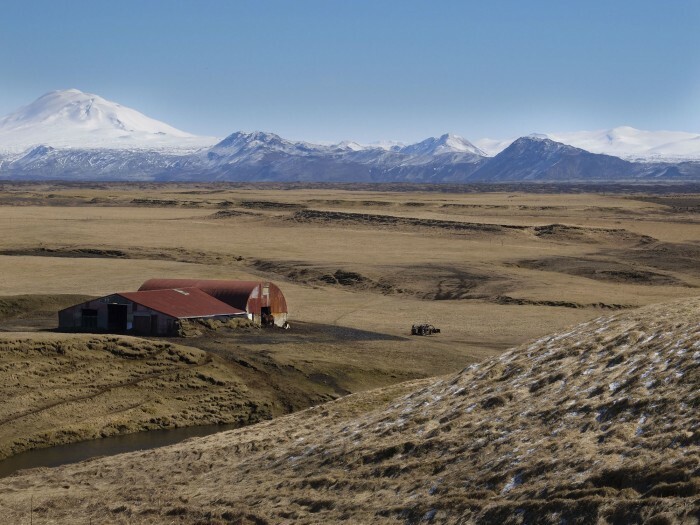 As you may know, I’m not really one for camping (to put it mildly), so we put the idea of a trip there aside until this year, when a friend mentioned her connection to some more luxurious properties in Iceland where we could stay. The hotel market in Iceland, especially in the capital of Reykjavik, now features a range of options from bohemian to Airbnb, standard business hotels to the very luxurious. Its first 5-star property is set to open in 2018, but the very private Tower Suites’ eight stunning suites defy ranking. Indeed, while a decade ago the island was for a select few intrepid travelers, it now caters to visitors of any sort, including those inclined towards comfort and luxury, like me. Perhaps, I’d argue, these changes attract more visitors than is entirely healthy, which is why I’ve taken so long after my trip to write this article. This article is a long read. So long that I’ve divided it into two (long) articles, each with subsections. You might not want to read it all, though I will be honoured if you do (and share your thoughts in the comments). Here’s a handy index so you can skip around to the parts that interest you most. Going to Iceland is undeniably an incredible experience: it’s an opportunity to encounter an entirely different culture with numerous quirks (like how peoples’ last names are their father’s or mother’s first name plus the suffix “son” or “dottir”); they have some of the most impressive nature you’ll ever see (like the first known geyser in the world, which gave its name to this phenomenon); and it’s also a fascinating attestation to respectful human interaction with nature. The latter – respectful human interaction – is key. I could just write an itinerary of what to see in Southern Iceland, the part of this vast isle that I visited. But I don’t feel like I can do so without first reflecting on how I, and we all, got there. 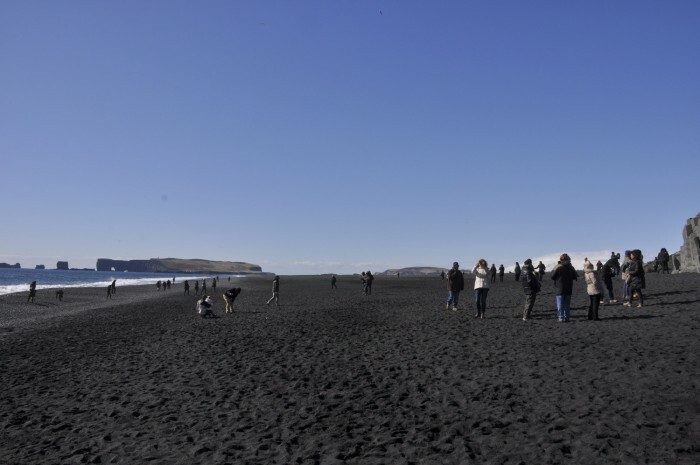 Iceland has been dealing with unprecedented numbers of international tourists (over 2M expected in 2017, 5 times that of 2010) by investing in infrastructure and services. While this risks impacting the territory, non-action would be worse. For example, 10 years ago a waterfall (Seljalandsfoss) saw few visitors, and some of those hiked up a mud path along the side to see the view from above. Now, it’s a popular stop for bus tours, and a metal staircase has been built up the side to accommodate people. Without the stairs, the ground would erode, making it dangerous both for people and for the environment. There are hundreds of examples of development like this, which makes Iceland easy and pleasant to visit: many destination highlights are accessible and services are good. And while on one hand I know they’re doing the right thing, on the other I get the impression that this accessibility somewhat removes the pleasure of discovery. I am, perhaps, part of the problem. Numerous factors have contributed to the current surge in tourism, and one of them is how damn appealing people manage to make the country look on Instagram, and before that, on Facebook. My friend’s 2015 Facebook post stirred my interest in visiting, and many friends said they’d like to go there after seeing my posts on Instagram this spring. The rise of tourism in Iceland coincides with the beginning of social media and with an element of chance. The 2010 eruption of Eyjafjallajokull, a volcano whose ash cloud closed down European air space, inadvertently turned all eyes on Iceland’s fantastic hospitality while, at the same time, the tourist board began a series of what would be the most simpatico viral video and tourism campaigns ever (for a taste of their humour, watch this video with the song “head, armpits, crotch and toes”). At the time, it was also cheap to visit, though their strengthening economy has now made it rather costly to stay and eat. In the meantime, airfares have come down, with low-cost options making it cheap to reach Iceland. For a place that used to be empty, this is too many tourists! There are so many practical reasons why Iceland’s tourism is growing. 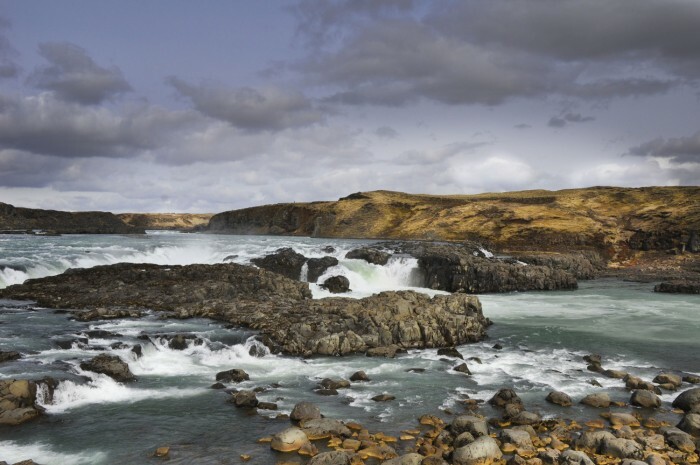 It’s well located as a stopping point between Europe and America (in fact, Icelandair offers free stopovers). It’s super clean, and generally dead quiet. People are friendly, well-traveled, and they speak great English. Roads (when open – not so much in the winter), wifi and cell service are good. Coming from Italy’s gritty, polluted, potholed and argumentative existence, it feels like paradise. Iceland itself is doing a fantastic job promoting tourism and at the same time communicating and preserving its culture and environment thanks to a well thought-out plan for sustainable growth. Icelanders are all happy to tell you something about their history, their nature and their values, which remain the country’s main selling points. I found examples everywhere, from the airline’s offering of documentaries on board to prepare you for your trip, to the guide who explained trolls to me, to the chef at Hotel Rangà who served fish while indicating the stream from which it came just outside the window. At the same time, economic reliance on tourism involves more potentials for failure than reliance on fishery; rising numbers are straining infrastructure and affecting the local housing market, and experts predict a recession. A proposed VAT tax hike on tourist-related services may seem like a solution, but locals say it’s a double-edged sword. 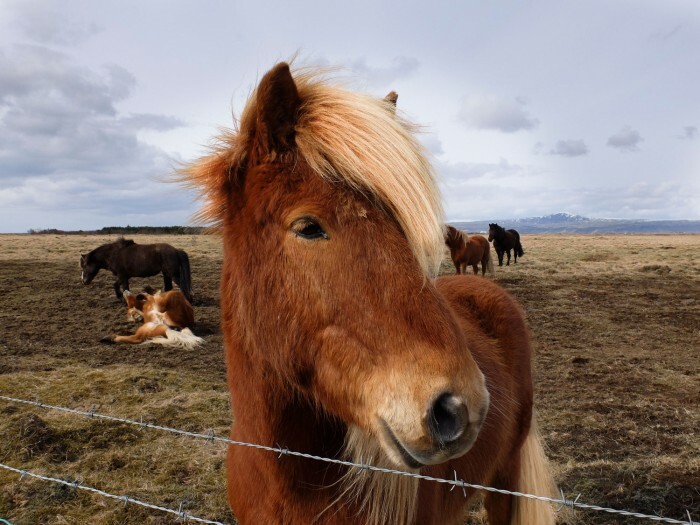 The country’s very attractive blonde horses are another big draw. I don’t think that we, as visitors, can do much to stop this huge growth. What I hope is that Iceland will be conscious enough to keep intervening where it’s critical in order to make sure it doesn’t change its own ways through catering to others. On our side, I think we can only be conscious visitors, and perhaps make choices like visiting (and spending money in) parts of the country that have less tourism. We can encourage business that offer local food and crafts, and take home experiences that speak of the place and its traditions. So here is that part of my story. I’ve never visited a northern city, so I don’t have many points of reference against which to compare Reykjavik, our and most people’s first contact point in Iceland. We arrived at Keflavik airport and got our rental car from Holdur, the local branch of Europcar. We’d opted for a 4×4 because we’d be heading to some of the lesser traveled areas, and ended up loving the RAV4 that we rented so much we’re considering buying one now. It’s about 40 minutes into town from here along a road bordered by lava fields and water. Initial fears that it might be difficult or expensive to park in Reykjavik were totally unfounded, as there is plenty of street parking everywhere for about a euro per workday hour, and the workdays are short. We really loved this car. Everywhere we parked it, it looked like an advertisement for itself (the RAV4). 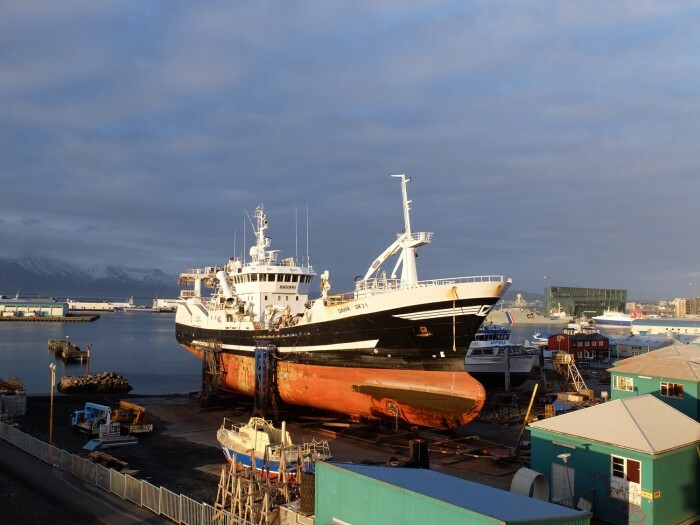 Reykjavik was officially founded in 1786 and means “smoky harbour”. The urban settlement grew up along the waterfront and is characterized by quaintly colourful houses, not particularly tall, and the occasional church tower. The best view you can have of the whole city is from one of the eight very exclusive Tower Suites, which occupies the top floor of a new office building and is one of the highest points in town. Our corner suite was so cool we didn’t really want to go out; one night we got take-out sushi and raided the (free) mini bar and just watched the light change and the sun go down very, very slowly. Within a 2-hour radius of Reykjavik there are actually a lot of sites one can visit either by car or bus tour, making it many peoples’ home base for their entire Iceland trip. For us, it was where I planned on getting a solid base about Icelandic culture before setting off “into the wilderness”. For that matter I armed Tommaso and I with the Reykjavik City Card, which gets you into all the museums for free, and also includes public transportation. The actual space to be covered between “points of interest” is not so large that you can’t walk it, but it’s cold and I like to save my energy! Below is a summary of what I did, but I’ve also written a 2-day itinerary for Reykjavik. I generally understand cultures best through their art, so headed to the art museums and also to a bookstore to buy a general art history book in English. After searching the whole bookstore, I asked a nice blonde guy with a man-bun (i.e. basically any local) what they use as an art history textbook. He said they had no art until just recently, only knitting. That and “church art”, he said, since they were mainly concerned with keeping warm. While not 100% correct, he was not far off. Icelanders didn’t have much art to speak of until the middle of the 19th century, and most of that was imported, either literally, or because islanders trained at the academy in Oslo and then came back. For a good summary of this period I recommend room 3 of the Listasafn Islands National Gallery of Iceland, with the exhibition Treasures of a Nation. Room 4 of the same museum displays some modern and contemporary art – assigning it almost as much space. It’s a short walk from here to the Culture House, part of the National Museum circuit. Its permanent exhibition, Points of View, was recently curated to present the country’s art history in a thematic organization. If you go to just one museum in town, go here. The collection includes works from the late middle ages onwards, with the “church art” that the bookstore guy mentioned and a super room dedicated to manuscripts of the Book of Jon (their law book). There are also some very reflective and inspiring pieces on the top floor that examine the relationship to the land and that may be some of the best explanations of the country and its people that you can get. Icelanders have always had a profound and healthy respect for nature, which is extreme and dangerous just as it is beautiful. They started recording this beauty and appreciating it at a more leisurely pace right around when they started making art. 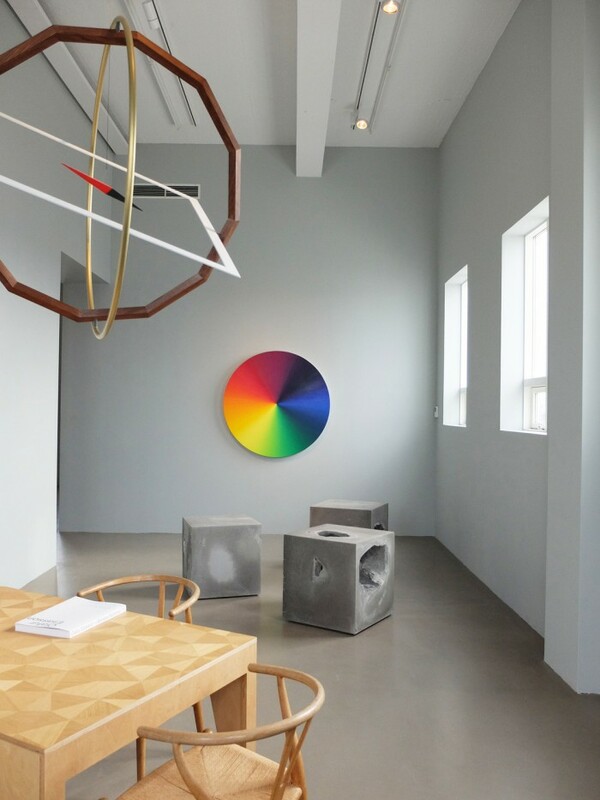 Icelanders are catching up by producing much creativity now, so there is a vibrant contemporary art and music scene. The coolest and newest place on this scene is the Marshall House, which we visited less than a month after its opening. It’s located on Grandi Harbour, a recently redeveloped area jokingly referred to as the “fishpacking district” as it has moved from fishery to restaurants, shops and culture, and features three gallery spaces and a modern restaurant. I particularly enjoyed the gallery by Ólafur Elíasson whose main studio is in Berlin, but who has taken a studio space upstairs here and intends to open it to the public. The display here is a mix of some of his older pieces and some site-specific. I asked the attendant for information and he turned out to be a young northern Italian named Tommaso, so we ended up talking for an hour and getting some details on what it was like to live there compared to Italy. He wasn’t enamoured of the climate, but was learning Icelandic (impressive) and found work there much more easily than here. Along the harbour and closer to town is another area with a concentration of contemporary art and also the best fish and chips I have ever had (I am getting hungry just writing about this place). I8 Gallery was closed for a few days between shows when I visited, but normally word has it that it is the most important gallery in the country and it’s always open! They represent Elíasson as well as the top Icelandic and international artists. 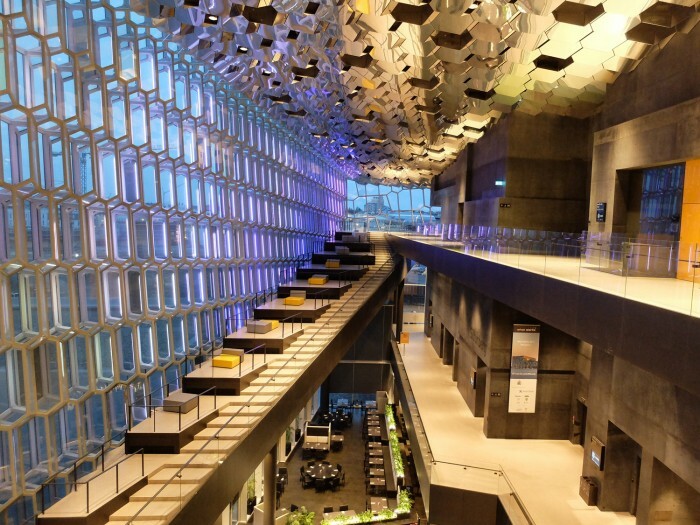 Although I still have trouble pronouncing his name, Elíasson turns up on every corner in this city, and he’s involved in the most visible part of its biggest architectural project of late, the Harpa concert center. The Danish-Icelandic artist developed the 714 LED tubes that light up the building’s honeycomb façade and that alternate in mesmerizing patterns that can be observed from inside. Even if there is not an event, the building is open until midnight and makes for a good free spot to visit at night. From Reykjavik, we headed out by car to visit the natural marvels of South Iceland and the more barren Highlands. READ the next post! This is a link to a more detailed itinerary published with Unanchor.com – available on kindle (click the banner) or in PDF format. DISCLAIMER: My stay in Iceland was partially sponsored by the following hotels: Tower Suites, Hotel Rangà, The Highland Center. With thanks as well to Europcar/Holdur and to Visit Reykjavik, the official tourism marketing office. All opinions are my own.